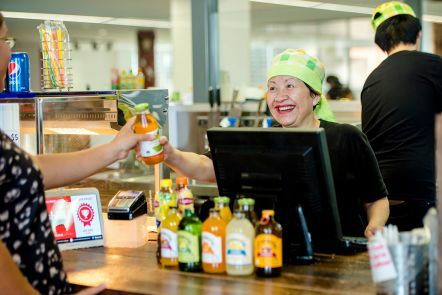 Our Kelvin Grove campus boasts a variety of food and retail outlets including food courts which house a multitude of eatery areas; cafes; mobile carts; vending equipment and general retail stores. You'll find a range of food and retail options at our Kelvin Grove campus. The services are operated by independent retailers and the opening hours and range of food catering options vary according to the time of day and campus population. More restaurants, cafes and shops, including a supermarket, are conveniently located in the Kelvin Grove Village.